What's happening in EHS sports? 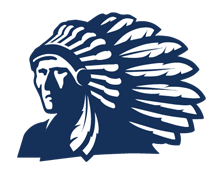 Click here to visit the Pacers and Plainsmen Facebook page. See the Athletic Calendar for all game times and dates! Enid High School unveiled updated branding today that ties the school’s proud history with its exciting future. Board of Education members approved the family of logos during a special meeting. Partly cloudy in the morning and windy starting in the evening.